Levain bakery sells my favorite cookies. 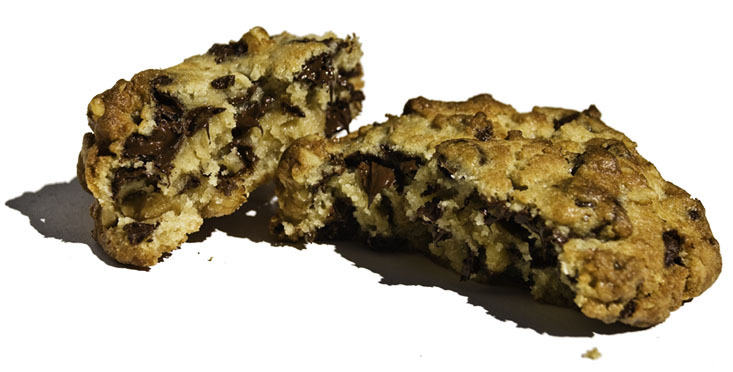 It feels so weird to say something like “favorite” when there are so many tasty places to go in New York City, but these cookies are just so amazing. 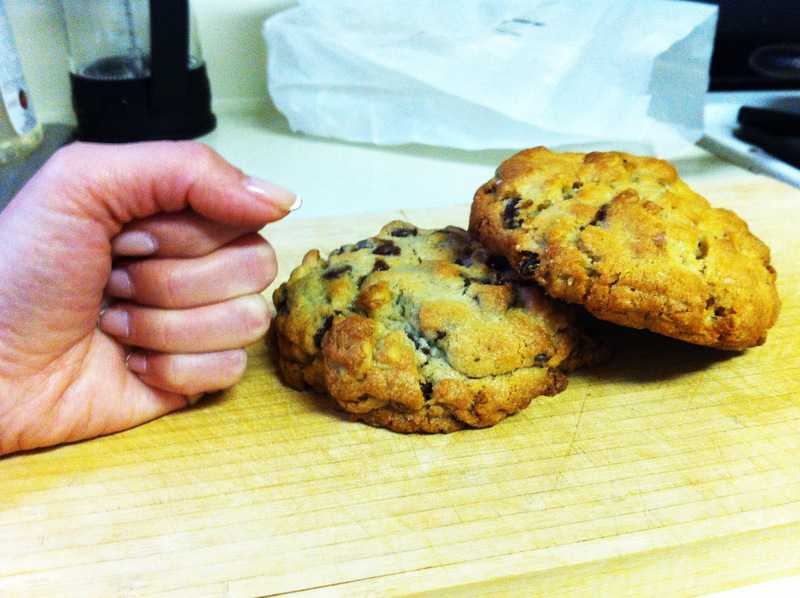 First off, these are some massive cookies. Each one is about 6 oz and extremely filling. Just look how big they are compared to my fist. The owners came up with these cookies because they would do triathlons all the time and needed something to fuel their bodies, but wanted that fuel to taste good as well. Their creations are best when eaten slightly warm because the outside has a nice crunch, but the inside is so thick and chewy. While they are a bakery and sell other items like brioche, sandwiches, buns and doughnuts, it’s their cookies I always crave. When you get near their store, you can’t help but go in because this fantastic smell wafts down the block and you just start following it. They sell four cookies, chocolate walnut, oatmeal raisin, dark chocolate peanut butter chip and dark chocolate chocolate chip. The funny part is that you can feel how hefty each cookie is the second that you lift them. I couldn’t probably eat one a day and never tire of them. If you have never been, you must go. I’m serious. Go right now. 10 out of 10 (just the cookies). Can I just say that I think this is the first time I’ve ever given a 10 to anything? If I were to judge the whole bakery, it would probably be like a 7.5 out of 10.